Activities in the outer space is certainly much more difficult than on Earth. In there, everything is easily floating in the absence of gravity. 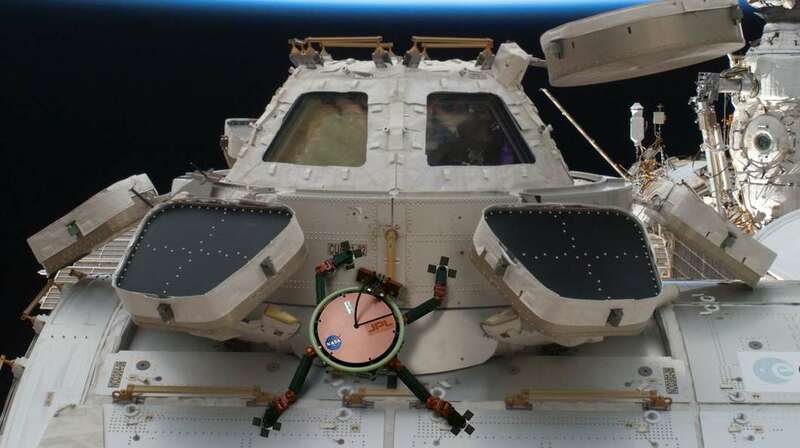 With a biomimetic approach, NASA is investigating the possibility of applying the gecko handheld system to help the robot clinging on machinery installation on the ISS space station. NASA team was inspired by the strong grip owned gecko. In nature, the gecko has a great ability to climb anything and survive on it because it has a leg with millions of strong tiny hairs to grasping the target. With millions of tiny hairs, the surface of the gecko feet gripping target with the physical force known as van der Waals forces. Van der Waals forces occurs when electrons orbiting the nucleus of an atom is distributed unevenly, generating an electric field with positive and negative poles. 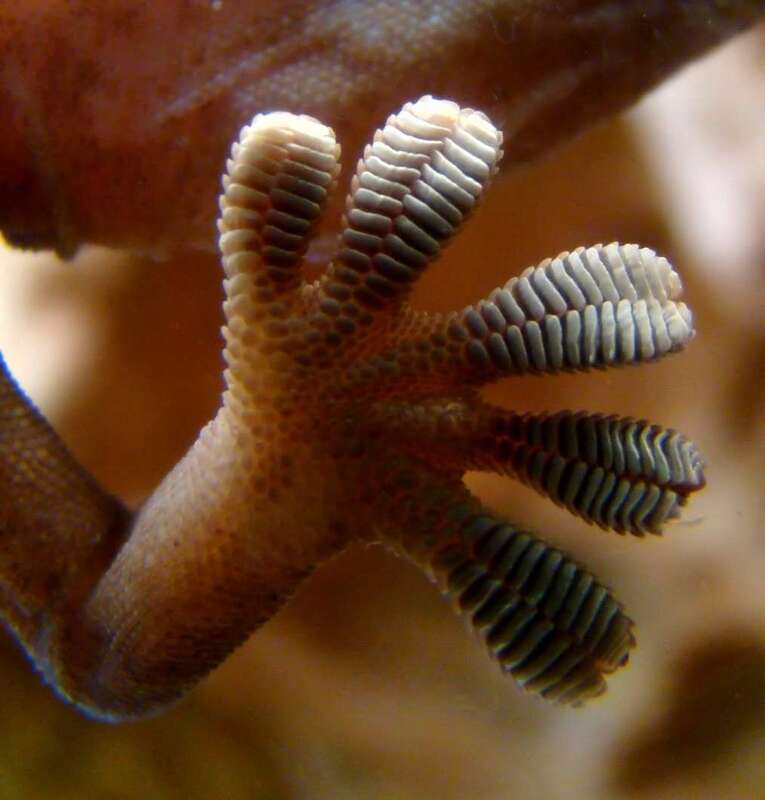 The electric field creates polar molecules that fit to a nearby, forming a temporary adhesive effect between the gecko feet and the surface beneath its feet. 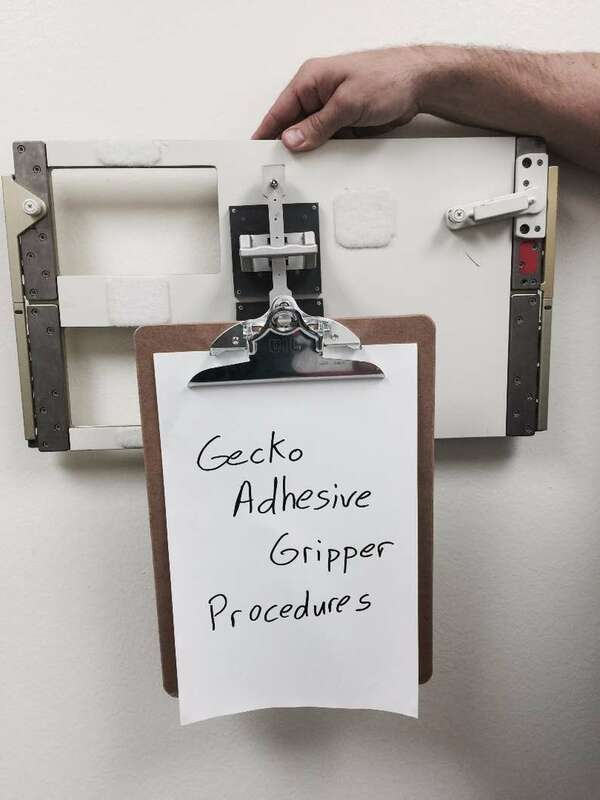 By creating a synthetic material composed of delicate stalks smaller than a human hair, NASA scientists imitate the gecko's ability to grasp.